During the last four weeks of Hackbright Academy’s 12-week software engineering fellowship, each student puts her new programming skills to use and builds a web app. From desserts to diversity, the below 35 web apps brilliantly highlight the unique personalities of our grads. Read on and be inspired! Think you’ve got what it takes to be a Hackbrighter? Apply today! Have you ever wondered how many people are in space right now? Who are they? How long have they been out there? Rocketmen provides users with realtime information about astronauts. Keep tabs on who’s floating, what they are like and who’s been in space the longest. Follow them as they work and explore in zero gravity. Share their photos and videos via Twitter. Be notified when the number of people in space changes. Rocketmen makes it easy for you to spot the International Space Station (ISS) and watch it on a map as it moves across the globe. You can also request a forecast of the next visible pass for any location in the world. Explore astronaut statistics with Rocketman’s data visualization tool. Alena graduated from college with a degree in Film & Media Arts. She then worked as a Producer/Production Manager on features, TV shows, documentaries, and numerous media projects. After moving to SF Alena worked at the Academy of Art as a Department Manager for School Of Motion Pictures and Television. As she worked on developing more effective operational approaches for communicating with academic teams and student body through technology she was first introduced to coding. Her interest in Computer Science kept growing as she taught herself new technical skills, eventually leading Alena to Hackbright. After Hackbright she looks forward to combining her ability to problem solve effectively with her skills as a software engineer. Project ReadMe finds the books you want to read for free at the libraries closest to you! The web app provides any book’s details such as summary and average rating and helps you discover its real-time availability by searching multiple public library systems at once. The app renders this availability on a map to help you visualize and discover the library branch (and its wonderful book collection) right around the corner from you. 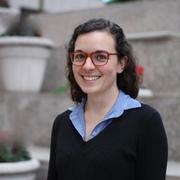 Alice graduated from University of Pennsylvania majoring in English and History and built her marketing/BD career in the startup and VC practices of global law firms Latham and Orrick. While analyzing tech deal flow and organizing entrepreneurial programs, she found herself inspired by the tech community. Last year, while traveling three continents, Alice self-studied programming and has been coding every day since her return to the Bay Area. Post-Hackbright, Alice would like to work as a full-time software engineer, melding her experience in software and marketing/BD to help her team reach the next level. When not coding, Alice can be found training for her first half-marathon, eating out, playing board games, and reading tons of books. HireBright is an app that helps to connect applicants with recruiters. As an applicant you can submit your application in txt or pdf of your resume and see your application status. As a recruiter you have access to data of all applicants, you can schedule and cancel interviews, search for applicants and see results ordered by relevancy, see your upcoming and past interviews, and see applicant GitHub profile and resume. It has a pair programming tool to solve code challenges remotely in real time. The app also sends an SMS when an interview is scheduled via Twilio API. 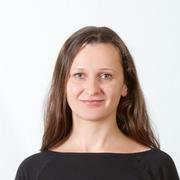 Alitsiya graduated from university in Moscow, Russia with a degree in Computer Engineering and for more than 5 years worked for well-known Russian Tech company Yandex as a Search Quality Analyst and a Project Manager. Then she moved to US and worked as a part of Xbox localization team in Microsoft. She wrote her first program in High School in Basic, and used Pascal for her graduation project at university, during the past couple of years she found herself exploring modern programming languages like Python and finally decided to move into new career as a Software Developer. In her spare time Alitsiya loves to wake up early in the morning to take pictures of the beautiful Bay Area and usually carries bag full of photo accessories. Check Engine enables users to find maintenance information for their vehicle based on the car’s specifications and current mileage. Users can see a list of upcoming maintenance items and find details for each task, including DIY resources. Authenticated users can keep track of their maintenance history, store completed items, and update their mileage to see new maintenance needs. The app uses the Edmunds dataset of commercially sold cars in the US since 1990. Allian earned a BS in mechanical engineering from Cal Poly San Luis Obispo, where she explored how to design and build mechanical systems. To supplement school work, she sought practical experience by participating in Formula SAE and working as a machine shop technician. After graduating she worked for a submarine component manufacturer, where her responsibilities included troubleshooting assembly problems and writing repair instructions. Her experiences with mechanical systems have given her an appreciation for software’s importance in developing smart machines. Her curiosity led her to learn more about software development, where she enjoys understanding and designing the nuts and bolts of code. BobaFetch provides an easy tool for finding and getting to your new favorite boba shop. Intended for runners and walkers who love bubble tea, this app curates local restaurant results for selecting a restaurant and provides a helpful map and directions for navigating to it. Users can limit their searches based on their running/walking speed and how much time they have available for procuring these delightful drinks. Users can also track their favorite and visited restaurants. Anli graduated from Wellesley College, where she double majored in environmental studies and economics. 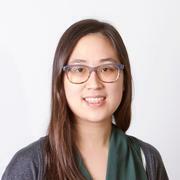 After stints in event-planning and academic research administration, Anli moved to the bay area in 2012 to work at a subscription e-commerce company. While it went from a scrappy start-up to being acquired, Anli had the opportunity to work directly with customers and cross-functionally across the organization, and discovered passions for creating joy for users and working with databases and code. After Hackbright, she’s excited to build her skills as a full-stack software engineer and empower others looking to join the tech industry. Beyond the nets, Anli can be found outside running, inside crocheting, or anywhere eating ice cream. NomNow! is a user-driven web app that provides the ability to make informed decisions on choosing a restaurant based on current wait times, popularity, and proximity. Users can search for nearby restaurants or by cuisine and get a map and list of restaurants with the most recent user-reported wait times. Sorting and filtering features allow for more tailored results. Users can also choose to receive text notifications for reminders when their wait time is up, allowing for more control over their time instead of hovering outside a restaurant. After graduating from UC Berkeley with a degree in Molecular and Cell Biology, Annie began working in the MIS department of a small non-profit where she often found herself troubleshooting and streamlining processes. She enjoys problem solving, and attending Hackbright grew her technical skills and offered the intellectual stimulation she needs in her professional life. Coding is empowering and she can’t wait to change the ratio as a full stack software engineer. When she’s not coding, you’ll find her eating her heart out at the hottest new restaurants in the Bay Area or crushing her friends and family on board game nights. SafeRun is a fitness tracker and running path generator, made with the nighttime runner in mind. The app renders a map and directions based on user-entered start and end points. Users may optionally view government data on existing streetlight outages. In response to such data, users may update their course to avoid unlit areas with a simple drag of the running path polyline; SafeRun will dynamically update the map and directions. After creating a course, users can save it for a future run, or add it to their run history, along with run metrics. The profile page displays workout data, including pace and distance over time, in chart format, giving users the ability to easily discern their run progress over time. Bekka studied Philosophy at UC San Diego. Her affinity for logic drew her to the LSAT and eventually law school, where she pursued interests in criminal defense and intellectual property. When she began taking courses in Java to better understand the facts of some IP cases, programming quickly became her favorite hobby. She’s excited to be back in the Bay Area, and to continue learning and building. Pulse is a web application that helps people discover workout studios and fitness classes. Pulse displays details about the studios including the location, class types, and Yelp star rating, as well as ratings and tips generated by users. Users can create an account in order to review studios and instructors, save their favorite studios, and set weighted preferences in order to view an individualized score for each studio. Originally from Cleveland, Celia graduated from NYU with a B.A. in Urban Studies in 2013. She spent some time backpacking through Southeast Asia and then found herself in San Francisco about a year and a half ago. Living in the Bay Area and working at Yelp inspired Celia to start learning to program through part-time and online classes. She soon realized that she loves to code and decided to pursue software engineering full time. A Rice University alumna, Chandrika was a nuclear pharmacist in Nashville, TN for the past 7 years. As an Authorized User of radioactive materials, she compounded and dispensed radiopharmaceuticals for diagnostic imaging studies and select therapies. She loved working with her team to resolve Tc-99m resource management and delivery routing issues to ensure timely delivery of time-sensitive doses. She also participated in a rotating shift schedule, and is excited to be entering a field where she can have a normal circadian rhythm again. 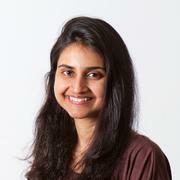 Chandrika loves problem-solving, learning new skills, and introducing others to cool concepts. In her free time, she enjoys reading, watching Netflix, and taking practice Canadian citizenship tests for fun. As❤naGenerator gives users a tool to create a yoga sequence, with an extensive and original database of asanas to create a beginning, intermediate or advanced practice. Intended for yoga teachers looking for specialization and variety in their classes, it is also useful for all yoginis and yogis within their home practice/self-study. This app queries the database to search for selected asanas and builds a personalized sequence based on user input; with specific features that allow for randomization, Sanskrit translation quizzing, pose detail, pregnancy contraindication searching, and receiving a “Pose-of-the-Day” text message using the Twilio API. Once registered and logged in, users can also save their generated sequences for future use. Chelsea graduated from UCLA with her BA in Interdisciplinary Studies (Economics, Gender & Globalization). Realizing her love for teaching, she received two California Single Subject Teaching Credentials in Social Science and English, as well as her MA in Education. After teaching for 5 years as a High School, Alternative Education, Online, Special Education and Adult School Teacher in the East and South Bay Area, she was drawn towards technology and the way that it can transform all fields; from the classroom and beyond. Looking to incorporate her passions into coding and software development led her to pursue a new career as a Full Stack Software Engineer. Chelsea is also a mama, yoga teacher and adventurer, loving worldwide eco-travel. Office Jukebox is a crowd-sourced music player. It allows any user to create a new jukebox that they have ownership and admin rights over (authenticated through a Flask session cookie). They are able to play/pause/skip music and search for/add new songs from Spotify to their playlist through AJAX requests. The jukebox also provides a unique URL used to invite guests. All users on a jukebox are connected through WebSockets, allowing realtime updates. Guests are given a limited view, with the ability to add songs to the playlist and upvote/downvote other songs. When a song is voted on, an updated version of the playlist will render for all users, ordered based on votes. And when the party’s over, the admin can end the jukebox session. Doria graduated with an HBA in Business Administration and began her career in market research and management consulting. 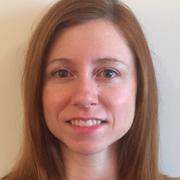 She worked on a wide range of quantitative and qualitative research projects. 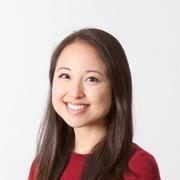 As an analyst, she worked on research design, data analysis, and report writing. Doria quickly recognized her favorite things about her work involved coding, so she began a small Python study group at work. After she left her job, this passion drove her to transition towards the tech industry. She continued her self-study and decided to come to Hackbright to build a career as a full stack software engineer. When Doria isn’t coding, she can be found playing video games, jogging, and exploring new restaurants. Do you love seeing live music and want to discover up-and-coming artists? Broadcast quickly searches for concerts based on whatever mood and city you’re in. Enter an artist and city (or let the geolocator automatically determine your city) and Broadcast will ask the Spotify API for related artists, then will asynchronously request each artist’s calendar from the Songkick API to determine if the group has any upcoming events. Multiple searches can be performed by clicking on artist images making subsequent searches easy and fun. A user can save events they find interesting to their profile and view event venues on an interactive map. Users can also create a playlist based on their saved events. A Bay Area native, Dori attended the Ohio State University where she was on the OSU synchronized ice skating team and graduated with a B.A. in Economics. 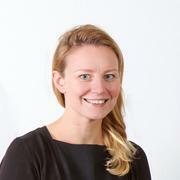 Dori previously worked in finance, most recently as a research analyst at Albourne. As a research analyst covering many tech focused late stage VC and private equity managers, she became fascinated by the tech industry. She is particularly interested in the intellectual challenges provided by software engineering. 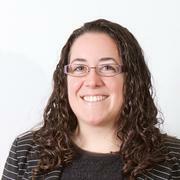 Other than coding, Dori enjoys live music, board games, and traveling by train. It is trendy to hang a collected gallery of pictures together as a larger composition. Gallery Wall produces visually pleasing arrangements from a set of user provided pictures. Users can select from different styles, such as columnar or cloud-like. Continually varying layouts are produced dynamically for any gallery of pictures, regardless of sizes and numbers of pictures. Users may save and compare wall layouts for a single gallery, and handy dimensions are provided for hanging. Sample sets of pictures are also available for users to try the layout algorithms and heuristics designed specifically for this project. The Object Oriented design of the arrangement process also lends itself to experimentation and extension! Elsa has a PhD from Stanford in Chemical Engineering, and a bachelors degree in the same from CU Boulder. Most recently she spent two years in a fast-paced technical consulting role, engaged in rapid hands-on troubleshooting and litigation support. As a graduate student she used Matlab to build simulations of the chemical processes in microorganisms. During this time she focused also on data-visualization, presentation design, and was introduced to software development tools such as version control and testing. Drawn back to coding, Hackbright has been a wonderful place to take her programming from scientific to engineering. Outside of engineering, Elsa enjoys the farmers’ market, analogue office supplies, and drawing. Tired of not being able to find results that suit your vegan lifestyle? VeganHub is a resource for vegans that enables users to search for restaurants and to check if their favorite wine, beer or liquor is vegan friendly. This app is a pleasant way to search for restaurants that will always be vegan without the hassle of sifting through irrelevant results. Rest assured that with this app, you can now search like everyone else! 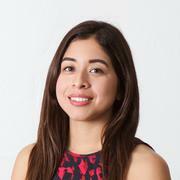 A first generation graduate, Emily studied Management Information Systems at San Jose State University. She spent two years as a test engineer at Quixey, a startup in Mountain View. At Quixey, Emily was further exposed to engineering and her interest grew. Being able to see how pieces connect from a concept to a deployed app excited her. She collaborated with engineers across teams to give back by hosting tours for low income students. She found herself taking online programming classes but wanted to pursue it full-time. 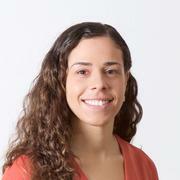 The excitement, challenges and rewards of programming are what led her to Hackbright. 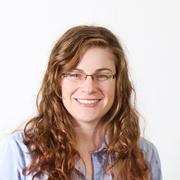 Emily loves to be involved and is enthusiastic to share her knowledge with her community. Many avid readers suffer from Reading List Paralysis: you finish a book, and you’re overwhelmed by your overflowing bookshelf. How to pick just one? NextBook stops RLP before it starts by providing one tailored book suggestion a day, for anyone with a Goodreads account. When a user signs up, NextBook pulls their book ratings from the Goodreads API, then retrieves additional book data from the Google Books & OpenLibrary APIs. Multiple machine learning models are trained on each user’s ratings; the most accurate model selects books to recommend from NextBook’s library. Users are emailed just one title per day, avoiding option overload entirely! Feedback is collected on every suggestion, so NextBook can improve recommendations over time. 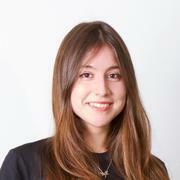 Emma spent the last four years working as a data analyst in San Francisco. 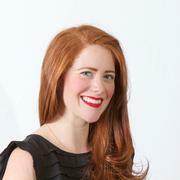 She began her career in digital marketing, with clients across a huge range of industries. 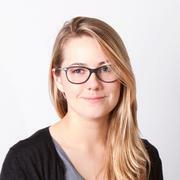 She began learning about R & Python while working with the data engineers on new internal analyst tools. Just before Hackbright, Emma was the only analyst at a small startup; her role was, loosely, “handle all the numbers stuff”. She designed their first data pipelines, partnering with vendors for technical implementations. She realized how much more efficient (& fun!) it would be to build her own data collection & storage, which led to pandas, APIs, database specs, and Hackbright. 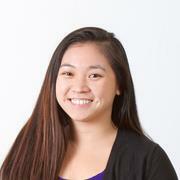 She looks forward to working on more backend systems & expanding her data engineering skills. Peer2Peer Lens provides Lending Club investors with clean, modern visualizations of their account’s performance. Intended for the savvy peer-to-peer investor for whom the Lending Club interface just isn’t enough, the app leverages a user’s Lending Club API key to obtain information about the loans for which they hold notes. Using this data a diverse selection of personalized charts appear, highlighting metrics such as Loan Grade, Loan Status, Loan Term, Loan Purpose and Loan Amount. Users can also view a complete list of their note details. For account security, user API keys are encrypted using the AES 128 algorithm before being entered into the database. Want to grab a bite during an outing with your dog? Fetch helps you choose from 300+ dog-friendly restaurants in 30+ cities. Natural language processing extracts content from reviews in Yelp’s Challenge Database regarding restaurants’ dog-friendliness and food quality. Then, scores from 0 (negative) to 1 (positive) are computed based on the sentiment for each category. Dynamic visualizations allow users to seamlessly compare individual restaurants, cities, and states. Restaurants are displayed on an interactive map using the Google Maps and Yelp APIs. Spot Finder is a web application that helps you find the best State and County for you to live in based on preferences such as cost of living, salary, safety and demographics. It uses an algorithm that calculates and ranks the States most suitable for you. The results are shown on a choropleth map and you can also see charts of top ranked states, according to your profile. You can also go into every County of any selected State and review relevant statistics. Vianey Munoz Gallegos was born and raised in Guadalajara, Mexico. She holds a B.S degree in Computer Engineering as well as a M.S in Management of Information Technology. 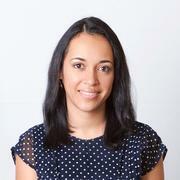 Fluent in Spanish and English, Vianey has over ten years of experience in software development and information technology management. She started her career in systems support and then moved to development for a number of years before going into project management. She recently became a U.S Permanent Resident and moved to SF. Being new to the local tech industry, Vianey has since devoted herself to updating her coding and programming knowledge in order to successfully transition her IT career. CommuKNITty is a full-stack web application where knitters can plan their yarny adventures. Knitters can see their current yarn inventory in their Basket, and maintain preferences of what they like to knit. From those preferences, users receive personalized recommendations of things to knit through calls to the Ravelry API. CommuKNITty maintains a Postgres database of knitting patterns and queries it to provide recommendations of what to knit with a yarn in a user’s Basket. Knitters can search for instructions for specific items, like a scarf or beanie, and view local yarn shops, retrieved from the Yelp API and displayed with Google Maps. If solo knitting gets lonely, they can join the larger commuKNITty and find a weekly knit night nearby. Kara Yount is no stranger to the engineering world. She studied business and electrical engineering before going on to become a technical consultant. Kara worked on projects that helped companies work more efficiently, and honed her skills in deployment, testing, and customer success. Remembering how much she enjoyed introductory coding courses in school, Kara started coding for fun. She came to Hackbright to continue to challenge herself and to embark on a new career. When she’s not coding, Kara, a self-taught knitter, can be found working on her latest yarn project. This chat client uses encryption to secure the communication between two clients. Each message is encrypted with an RSA private key on the client and decrypted with the matching public key on the receiving client. This means the server never sees the raw message! As a software engineer Katie is looking forward to building things! She came to Hackbright after being a test engineer and finding creative ways to break software. Prior to obtaining that position she took a class in Python and really enjoyed the challenge of programming! 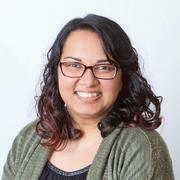 As a test engineer she enjoyed working closely with software engineers, and continued to expand her knowledge of computer science by taking computer science courses on EdX. She chose to apply at Hackbright in order to learn more about computer science fundamentals. *Each score is normalized based on the party’s total numbers, and factors include social media presence, poll numbers, and media coverage. Kaylie graduated from UC Berkeley with honors in History of Art and Business Administration (Haas School). Her first full-time role was at TechCrunch, where she found her passion for tech and startups. After an amazing year of designing billboards, implementing sales tracking software, and traveling halfway around the world to work with Google for Entrepreneurs Program, she joined the startup scene in New York to help companies with international growth. In all her roles, she especially enjoyed working with the engineering team, and eventually came to Hackbright to become an engineer herself. Kaylie loves the challenges of working with data and algorithm design but is also interested in the front-end aspects of UX and data visualization. adaΩaudio is a music media app that helps people discover new music. Users can enter their favorite song, artist, or music genre, and Ada will generate a customized music video playlist. The user input seeds a text-based playlist which is created using the EchoNest API and then the text playlist is converted to a music video playlist using the YouTube API. Ada automatically displays the music videos to the user and plays through the playlist. Every time a song or genre is entered, adaΩaudio generates a new playlist to increase the chances of new music discovery. Kristin Parke graduated from UC Santa Barbara with a music degree and a second bachelor’s in biology. Most recently, she managed the Santa Barbara location of Nick Rail Music, an instrumental retail and repair specializing in music services for schools. This exposed Kristin to the powerful role of technology in the music industry and sparked her interest in programming. Kristin enjoys the continuous learning culture of the technology industry and is interested in the crossroads of music, media, entertainment and technology. When Kristin isn’t coding, she is training her cats to do tricks, hiking, or at the beach. Bringing the world together one project at a time. In the MakeAlong online community, crafters can create a group for a project. To start a group, a user selects a pattern for the group or creates a pattern poll in which other members can vote on a selection of patterns. On the group’s page, users can post comments, photos and videos as they progress through the pattern. They can also tweet about their progress using the group’s hashtag. More users can easily be invited to the group via email. Crafters can opt into numerous groups based on their interests. Their homepage serves as a dashboard to view all participating groups. 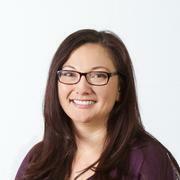 Post graduation from St. Mary’s College, Leilani began her professional work at an advertising agency. She then transitioned to the client side as a Marketing Project Manager at UC Berkeley Extension, where she created project timelines for varied marketing deliverables. 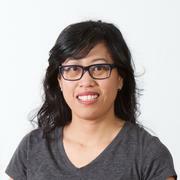 Augmenting her detail-oriented mindset, Leilani began doing some front-end coding for the Extension website to fill in production gaps. This sparked a newfound talent: coming up with creative solutions to enhance a customer’s user experience. Desiring more knowledge to complement the front-end coding, she completed programming classes in her free time. 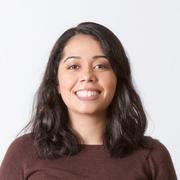 Leilani looks forward to building on the skills she has learned at Hackbright as a fullstack software engineer. LingoChat lets people send and receive text messages with their friends and family in any language. By letting everyone use their own language, LingoChat allows for multilingual conversations. Users can create new contacts or import them from their gmail contacts. A user can preview and edit a translated message prior to sending it to their chosen contacts. If both users have an account in my application, they can chat with each other live in their own languages via websockets. There is also sentiment analysis where each user’s messages are broken down into positive, negative and neutral categories. Each user can also see which contacts got the most positive, negative or neutral messages. LingoChat – Your Channel. Your Chat. Your Language. 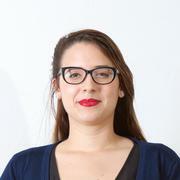 Malika Nikhmonova is a Software Engineering fellow at Hackbright. Prior to coming to Hackbright, she was working as an Automation Engineer as well as a Release Manager at a solar power company in San Francisco. Her main responsibilities were developing, maintaining and extending scripts with Java to increase the testing efficiency of the web applications used by sales teams to sell solar panels. She was also responsible for managing and deploying weekly releases to production. The reason that she decided to attend Hackbright was because she wanted to improve her career opportunities and also gain a deeper understanding of web development. In her spare time, Malika enjoys learning new languages and practicing them with her friends. Diversitech is considered to be “The Glassdoor for Diversity in Tech Companies”. Created for job-seekers who are researching companies to work for and advocates of diversity and inclusion, this app analyzes tech companies’ publically-reported gender and ethnicity diversity data, allows current and former employees to write anonymous reviews on companies, and provides the most recent news on diversity efforts within that company. Users can search for a particular company to get a visualization of all of the diversity details and overall ratings for that company. Diversitech is unique in that it compares the diversity data for all of the tech companies in order to rank the top companies for gender and ethnic diversity. Marisha graduated from Boston University with a degree in International Relations, and played professional soccer in the US and in Europe for a few years. After earning a master’s degree in education from Durham University, she became a NCAA Div. I collegiate soccer coach, using her leadership skills to promote student-athlete development and success. In 2015, she took advantage of the opportunity to launch a startup company and website with her sister, and quickly became interested in learning more about programming by taking online coding courses. She looks forward to continuing to build on her newfound passion and further developing her skills as a full stack developer. In her free time, Marisha enjoys hiking, reading and traveling. In the crazy world of Marvel superhero movies, it can be difficult to understand what’s going on at a given time. Is Ant-Man an Avenger? Who is Scarlet Witch? Why are Captain America and Iron Man fighting? The Marvel Cinematic Universe was designed to be an application where users can access movie information, see which characters are featured in a given movie, check out character back stories, and even visualize relationships between those characters. This visualization is created with a D3.js force layout and shows certain connections between the different characters in the MCU. Megan graduated with a Bachelor’s degree in Marketing. 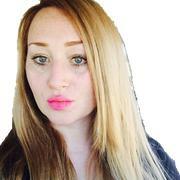 She moved to Denver, CO where she worked as an Account Manager at SpotX, an online video advertising platform. A year later, she founded the Business Analytics team at SpotX and became a visual data analyst. 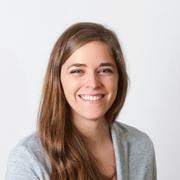 In this role, Megan worked to develop data visualizations using Tableau Software. Working closely with data, Megan became interested in how to interact with data at every level. She began studying relational databases and SQL in her free time. 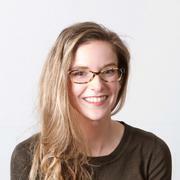 Megan is excited to take her new software engineering skills and combine them with her love for data visualization. In her free time, Megan likes hiking, trying new Denver breweries, and snuggling with her English Bulldog, Marvel. DessertFinder allows users to peek inside a wide cross-section of nearby restaurant menus and find their desired desserts. This app analyzes menu contents of the Locu/GetFound API to double-filter for likely dessert menus, and further searches within menu contents to extract dessert items containing descriptions or words matching the user’s search term. A list of responsive dessert items is generated on-the-fly and provided with corresponding restaurant name and address, dessert name, dessert description, and price so that dessert items can be compared across restaurants. Users can search for all desserts near a location, or specific dessert types. Dessert search results are plotted on a Google Map, using Google Map API. 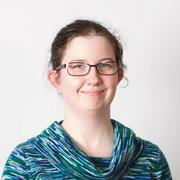 Meg began programming in high school, writing a text adventure game in BASIC. She graduated from Smith College with a degree in English. Working with developers in EDiscovery as Data Analyst, she enjoyed finding bugs, filing feature requests, and working with big data. She resumed studying programming in 2010 using online resources. 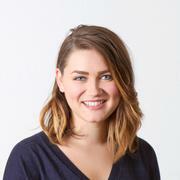 Interested in Hackbright from its inception, Meg kept a keen eye on it while working as a Data Analyst and taking online courses in UNIX, SQL and Python. 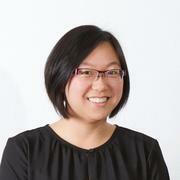 She looks forward to building her skills as a backend software engineer after Hackbright. When not programming, Meg is in the air at Circus Center refining her skills in Static Trapeze. Melissa’s work with Berkeley Unified in Literacy Development, a program supporting under-resourced k-8 students in Berkeley and Oakland, inspired her BUILD-Reads project. She built a GoodReads-for-Kids web responsive app for mentors and scholars to motivate enjoyment of reading. A scholar can use BUILD-Reads to track his reading progress and to keep a reading history profile. He can log his daily reading progress, book ratings, and comments. A scholar reviews his improvements through data visualizations and reward badges, and he also can review his “book shelf” of cover images. BUILD-Reads also provides reading mentors with data visualizations of BUILD’s community impact and a machine learning book recommendation feature. Prior to Hackbright, Melissa was a PhD candidate at UC Berkeley in English, and taught Core Curriculum and academic writing at UC Merced. Her interest in programming sparked during middle school, and her dissertation looks at an intersection between science and poetry. After teaching in Japan, California, and Massachusetts, she sees opportunities to scale her impact beyond the classroom by merging her professional problem-solving, communication, community outreach, and inquiry skills with her technical training. 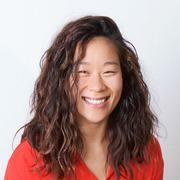 Most recently, she was teaching with Hackbright’s Part-Time program, and she was helping to launch Bridging Berkeley, a math and science tutoring program that matches UC Berkeley students with local middle school students. Have you ever struggled to remember to take your medication during a busy day? Have you ever missed a doctor’s appointment because it slipped your mind? MedMinder was created to alleviate this challenge. MedMinder is a reminder web-app that dynamically displays a user’s personalized health information, empowering patients to take control of their healthcare. Your health should never be negatively impacted by missed doses due to complicated dosage schedules. MedMinder notifies the user’s upcoming prescription doses and future medical appointments, both within the app itself and also via email. Patricia graduated with a degree in Latin American history from the University of Chicago. In her career before transitioning to software development, Patricia was an editor for a major textbook publisher. She wrote, edited, fact-checked, and translated secondary school texts from English to Spanish and Spanish to English. She is passionate about languages, specifically Spanish and Portuguese. The fascinating challenges translation posed allowed her to utilize languages as tools to resolve issues. As a software developer, she utilizes the power of coding languages to overcome barriers. Inspired by deep learning, View is an application that uses image pixel data in photos — a subset of computer vision — to identify visual characteristics. When shown a photo of a flower, for example, the software responds with a group of like images. The software can predict the description of the image by identifying single objects. View uses a large collection of data from the imagenet competition to simulate a neural network for processing incoming data. The rules are simple, search by text or image and View provides you with images within the same classification. Users can also contribute by tagging images to help enhance the image search process. 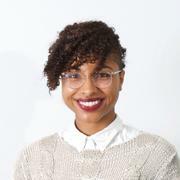 Shai Wilson graduated from the University of San Francisco with a B.A in Art History and a double minor in Computer Science and Design. She played a pivotal role in reinstating USF’s Women in Computer Science Organization leading projects as the Chief Technology Officer. 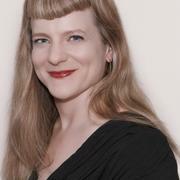 She was most recently a software engineering intern with the Internet Archive, a 503 non-profit. As an undergraduate, Shai has also worked with small tech companies in Japan and France, conducted undergraduate research in Dakar, Senegal, and landed in Hackathon competitions around the country. Ever wanted to try a vegan diet, but weren’t sure whether you would get enough protein? Veganista helps vegans or those trying a vegan diet to be aware of whether they are hitting their daily nutritional requirements. It offers users visual tools to check what percentage of their daily protein, carbohydrate and protein requirements they are satisfying based on dishes they enter into their account. Users can view daily percentages on a dish level, daily level and over the course of when they started entering dishes into the app, through different charts. Users can also view the list of dishes they have consumed on a particular day and a dish directory of all the dishes they have entered thus far. Shalini Pyapali recently graduated from UC Davis with a degree in biochemistry. She decided to pursue software engineering after thoroughly enjoying an Introduction to Python course her senior year. She is particularly engaged by the tools out there to build cool web and mobile applications and is eager to gain experience as a full stack engineer. During her free time, Shalini loves delving into nutrition and healthy eating, which is the motivation for her project Veganista, which is a vegan nutrition tracker. Destination Unknown is a mischievous roulette mystery trip generator that can sweep you away on a spontaneous adventure. Users can log in with their Uber accounts, compose a story for their ideal escape, and see a top-rated mystery destination unfold on a story-book map. The destination contains just enough information to pique one’s interest but not spoil the surprise. Users can request a ride from Uber directly via Destination Unknown, complete with text message confirmation. Destination Unknown also provides users with insights into their own “Inside Out”: curiosity stats, mood triggers, and celebrity alter-egos. As the saying goes, “only the curious have something to find.” Destination Unknown will encourage you to forge a bolder path. 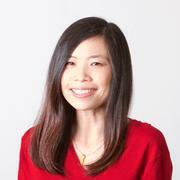 Shijie earned her BA in Economics from Yale and is a lawyer licensed in California and Arizona. She spent 3 years practicing commercial litigation and energy transactions, resolving conflicts and drafting contracts. 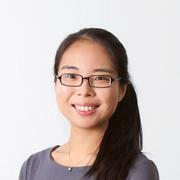 During this period, Shijie cultivated an unlikely hobby in coding, reminding her of the times in college building web pages for nonprofits and writing R scripts to analyze data. After moving to San Francisco, Shijie started a coding study group at Google and realized she wanted to pursue a career in software engineering, bringing into this new career path the same vigor and tenacity as a lawyer. During her free time, Shijie likes to play with her cat Mylo and go to indie rock concerts with her husband. Weekend Wanderlust is an interactive map for weekend explorers in the San Francisco Bay Area. It maps upcoming weekend events, uncovers hidden-gems nearby, provides routing estimates and updated information to help users plan smarter for their weekend adventures. Hidden-gems are “hidden” by default, but users can discover them by clicking on an event, typing an address, using current location or activating the “Explorer Circle” to sweep around – all will lead to a more detailed map showing hidden-gems within 1 mile, tips & photos, and normal/popular hours. Users can save trip notes via sms for handy info on the go – and you will never get bored by discovering more. 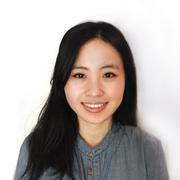 Terri graduated in Hong Kong with a BSs degree in Digital Graphic Communication & Business. As a branding-turned-UI/UX designer, she’s always passionate about the interplay between branding and cognitive sciences. She believes the understanding of human brains helps design. In 2012 she landed on a mobile app project where she discovered the exciting world of tech startups. Since then she has been actively involved in tech, and moved to the Bay Area to explore more. Terri loves to build. She’s a craftswoman-at-heart embracing maker culture. With the merge of design instinct and programming skills, she looks forward to becoming a full stack engineer with front-end niche to build products with intuitive interaction and better user experience. Reggie is an app that shakes up the way companies create event websites and build registration flows. Reggie allows companies to dynamically create customized registration forms and build the event website with their specific design specifications. This app turns building an event website from a process that typically takes weeks into just minutes plus it enables complete customization throughout the process. The app also stores the registration data for companies, and ensures easy navigation and manipulation of data from the onset. Reggie makes registration easy and beautiful. Tiffany attended St. Catherine’s University, earning BAs in Spanish and International Business and Economics. Fresh out of college, she managed a political campaigning office, which led her to San Francisco, where she changed careers to event management. Her work centered around event registration where her primary focuses were website development, maintaining databases and reporting data to clients. She had the privilege to work with software engineers and loved working with the team on the technical aspect of events and decided to become a software engineer herself. Tiffany is enthralled at the prospects of continuous learning, and working at an innovative company that will let her flex her programming skills. Congratulations to these talented women for their recent graduation from Hackbright Academy! Spread the word about their accomplishments and share this post.